The second day of the Knowledge Architectures and Archives seminar organised by the Punjab Information Technology Board (PITB), Information Technology University (ITU) the Punjab and the Archives and Libraries Department in collaboration with Columbia University, began with a tour of the historic Anarkali Tomb at the Civil Secretariat. On the initiative of the Additional Chief Secretary, Umar Rasool, the plastic sheets which covered the walls of the Tomb since 1860 were removed for the first time to uncover Mughal era frescos and Sikh era mosaics. This ongoing restoration will uncover layers of history in this tomb and enable scholars to study it for the first time. In the ensuing session, Abbas Chugtai gave a presentation on the scope and extent of the Punjab Archives. Punjab archive, documents and manuscripts from the early 1600s, dating to the reign of Mughal Emperor Shah Jahan were shown to the delegates. “The archives also include nearly all the Sikh period record, especially the era of Maharaja Ranjit Singh” he said. The Punjab Archives also have the records of British Punjab, which once ranged from the Khyber Pass to Delhi. “The record also includes original movement of 1947 record, letters of Mirza Ghalib and Sir Syed Ahmed Khan” he noted. Dr Yaqoob Khan Bangash of ITU and head of the Digitization Project explained the digitization process especially focusing on the conservation of the valuable record and its proper storage, before the scanning process. “Once scanned,” Dr Bangash noted “a rigorous quality assurance process is done so that there is no compromise on the picture quality and completeness of the scanned files.” The scans are then catalogued using the scheme developed by the British Library so that a seamless and detailed catalogue is developed which links Punjab Archives to other world archives. 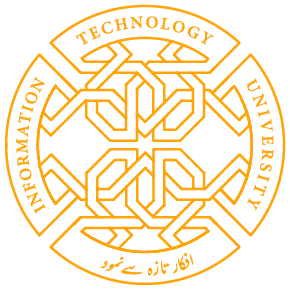 “An online portal,” Dr Bangash said, “would be then created where scholars from around the world would be able to access the digitized archive at the click of a button.” This initiative will open up a treasure trove of materials for both local and international scholars to engage with. “We will make the Punjab Archives into an enabling environment where all scholars will be facilitated to produce world class research,” said Dr Bangash. Noted Punjabi scholar Iqbal Qaiser also spoke on the occasion about his work in setting up the Punjab Khog Ghar and his work with Jain and Sikh monuments in Pakistan. Dr Kanwal Khalid spoke about her work, which used the city of Lahore as a public and mass archive. A final roundtable then brought together the experiences of the Sindh Archives, the KPK archives, the National Documentation Wing Islamabad and Forman Christian College, in preserving and digitizing their collections. The delegates were taken on a tour of the Civil Secretariat, the Quaid e Azam Library in Lawrence Gardens, and the Fakirkhana Museum, to apprise the delegates on the rich history of Lahore and the Punjab. Share the post "ANARKALI TOMB COVERED SINCE 1860 REMOVED FIRST TIME FOR ARCHIVES EXPERTS"